The Dogwood Alliance family is mourning the loss of one of our greatest heroes and a champion of Southern forests, Lloyd Clayton, who passed away on January 14th in his hometown of Birmingham, Alabama. In 1996, forest protection activists from around the United States converged on the Bankhead National Forest in Alabama to discuss campaigns, issues, and strategies for stopping logging on national forests around the country. The Southern contingent at the event had more than national forests on their mind — 90% of the forests in the region are privately owned and over the previous five or so years there had been an invasion of chip mills springing up around the South that were devastating them. Local communities and concerned environmentalists were watching an ever-expanding wave of destruction consuming forests in the South. Our forests were being chopped down, chipped up and either sent on barges to Japan or were being consumed at a faster rate by paper mills across the South. Something had to be done and quickly. From the crowd, a sweet cherub of a man with the most jovial laugh and an undying love for Mother Earth emerged and pledged to fund a new organization to fight forest destruction across the South. That sweet man was Lloyd Clayton, and with his generous support, Danna Smith and Cielo Sand were hired as co-directors of the newly founded Dogwood Alliance. Lloyd Clayton (left) with Dogwood Alliance board and staff members at the organization’s 15th anniversary party in 2011. In 2000, when I joined the staff of Dogwood Alliance, Lloyd was one of the first people to greet me. His playful demeanor, deep admiration for people who put their bodies on the line for nature, and willingness to do anything for the people he loves, immediately endeared him to me. 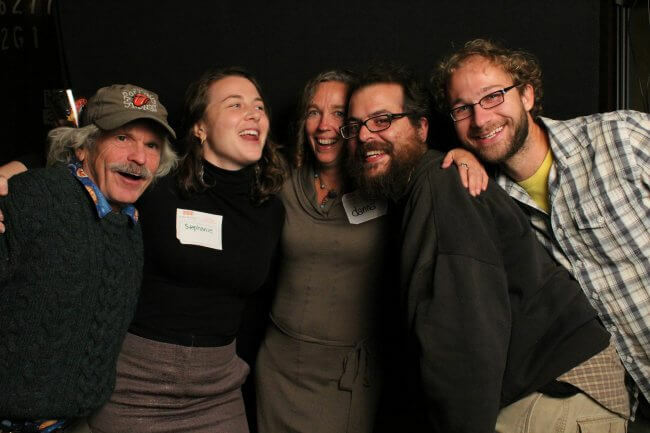 Over the last 18 years we have spent many hours together in the Bankhead, our respective hometowns of Asheville and Birmingham, at Heartwood gatherings, and many places in between sharing a laugh or having a deep conversation about the state of the world. Lloyd was one of my greatest friends, inspirations, and in many ways my muse. He reminded me to laugh at the bastards trying to hold me down, to fight like hell for the people and planet I love, and could always find a way to break tension or confusion with a mesmerizing story. I have so many special memories with Lloyd. Here are but a few. After September 11th, funding for non-profit environmental organizations crashed dramatically, and many people had to leave the movement to be able to pay the bills. I made it my mission to go out and visit as many of the groups, activists, and communities in our network over a year to listen and see how we could support their work, putting more than 20,000 miles on my car. There were a lot of gloomy stories at that time, and I had hit rock bottom, really questioning whether any of us could make a difference. I was down in Gainesville, Florida on the tour and got a call from Lloyd. He instantly heard the sadness in my voice and invited me to meet him in Destin, Florida. Lloyd made me feel like the center of the world – sharing meals, stories, and quiet time until it was clear my morass had passed. I am quite sure that if Lloyd had not done that, I would not still be here at Dogwood Alliance writing this today. Over the years, Lloyd had a knack for timing, knowing just when to pop back into my life. In conversations with many of Lloyd’s friends through the years, most shared the same insight. Lloyd and friends at a wedding on the Cumberland Plateau in Tennessee. A few years back Lloyd had a stroke. Doctors did not give him much chance for a full recovery. This could have easily been a moment where he could have given up. But Lloyd, who some of us nicknamed Lloyd the Cat, took it all in stride. Despite the weakness in his body, he slowly but surely pushed on, showing up at Heartwood gatherings, popping up randomly in Asheville for a visit, or venturing far afield to places like Cuba. 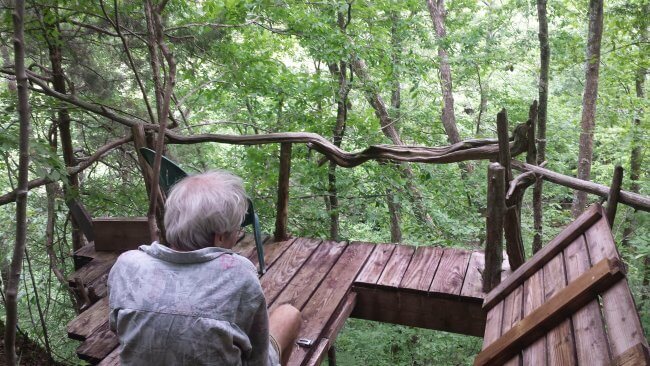 A couple years back, after several conversations, Lloyd and I decided to meet at his special spot in Alabama for a week-long retreat together. He was still struggling to walk, but we knew that if we went slow and steady and took lots of breaks to enjoy the majesty of the forest, we could visit some of his favorite places together. Arm in arm we made our way through his special paradise – hugging trees, listening to the babbling brook, and enjoying each others company. I can say in all honesty, that it was one of the most special weeks of my life. I am mourning the loss of my sweet friend, but he will always serve as a beacon of hope, an inspiration to keep fighting the good fight, and bring a smile to my face and a big ole laugh to my belly. Rest in Peace Lloyd Clayton! The forests, rivers, and mountains of the Southern US will sing your name, mourn your passing, and be better off thanks to all you have done in their service. Lloyd Clayton at his special spot in Alabama. Thank you for this beautiful eulogy! Please join us at his memorial that will be held on Saturday May 25th at 6pm at the Coker Creek Retreat Center in Tellico Plains, TN. There will be an opportunity for those who would like to light a candle and or say a few words about Lloyd. I am so very touched by your letter and celebration of Lloyd’s life, values and passion. It was wonderful to read about his spirit which appears to have been transferred into your poignant words. I have followed the Dogwood Alliance for several years since my activism with Atlanta Protects Trees was lit back in 2015. 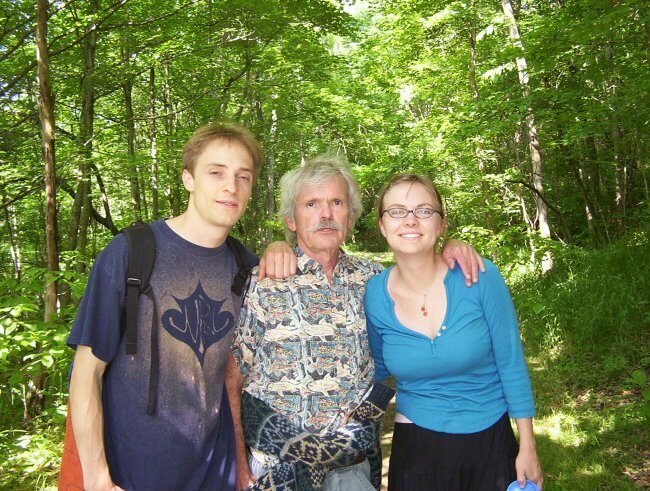 Having grown up in the sanctuary of trees of northern Alabama, I can fully appreciate what inspired you both and hopefully will continue to fuel you forward with your work and love of our beautiful southeastern forests. Thanks to you and Lloyd for what you both continue to do which I believe is a permanent fixture in southern history, our values and nature’s habitats we hope will thrive once again.